Another Five to Eight United – Transfer targets bite the dust? All of us United fans are awaiting in anticipation of the much wanted news that we have signed a new player-players to strengthen the squad. Top-class players such as Sanchez, Miranda, Mangala, Shaw, Schweinsteiger, Strootman and Hummels, currently being mooted to join our club in this summers transfer window. While we are all eagerly monitoring ManUtd.com for confirmation, this so far has drawn a blank. However there have been several significant transfer dead-ends. It begs the question why? The list of players linked with Manchester United does not appear to be reducing as expected, which as United supporter’s we have to digest, but clearly several to-date have distanced themselves from joining our football club, either by their own quotes or through their team’s management and agent’s vetoing any move to Old Trafford. All very normal in the mad-cap nutty summer transfer mill, where as United fans we know many rumours are just too ludicrous to contemplate certain players arriving at Old Trafford during the clubs current status-quo. 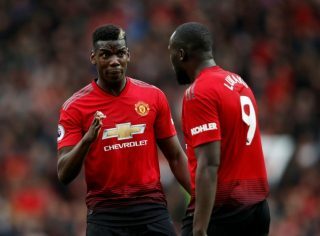 With that in mind, listed are five transfer frustrations to get our grey-cells working, and decide as United fans which failed transfer was a bullet dodged? Real Madrid’s left back has agreed to sign a new deal with Los Blancos retaining his services at the Santiago Bernabeu until 2019. The Portuguese defender joined Real Madrid in 2011, from Benfica in a transfer costing €30m, negotiating a 6-year-deal at the time. Coentrao was heavily linked with Manchester United, Chelsea and a return to Benfica, while his performances suffered under Jose Mourinho. 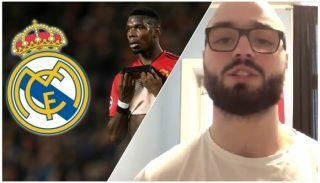 Amazingly United fans will recall imposters spuriously attempted to agree a deal with Coentrao (and Real Madrid) to transfer to Old Trafford on ‘Sky’s – Jim White’ favourite transfer day – deadline day, failing and leaving Fabio Coentrao reportedly in tears. The left back with new inspiration from Carlo Ancelotti has been revitalised and raised his game, challenging Marcello for the left back starting berth. Real Madrid have reportedly agreed with the player a salary of 4m Euros per annum which is broadly in line with the average at the club. Recently due to his exceptional efforts Coentrao assisted Real Madrid in winning the Champions League Cup along with the Copa del Rey. Portugal kick-off their World Cup campaign against Germany on June the 16th in Salvador, 5pm BST, followed by the USA on June 22nd in Manaus (the pitch yikes) at 11pm, finally for Paulo Bento’s side Portugal feature vs Ghana on June 26th in Brasila 5.00pm BST kick off. Free Ronaldo and they will likely get out of Group G, and could win the group, depending on the start against the mighty German’s in their opening match, can Ronaldo alone win a Jules Rimet trophy single handed? It has happened before Diego Maradona pulling a desperately normal Argentine side to victory in 1986. Time for the Ballon d’Or winner Cristiano Ronaldo to step up to the plate and display his Galactico form? Mino Raiola, the mischievous agent of Paul Pogba, has revealed the young Frenchman is happy to remain at Juventus after winning two back-to-back Serie A league titles with the Turin side. 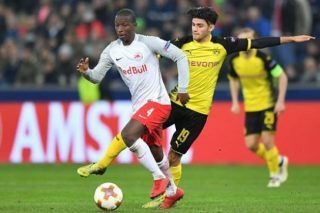 Is this bad news for Manchester United, the 21 year old who left Old Trafford in 2012 in unfortunate acrimonious circumstances has been linked to Real Madrid, Chelsea and unsurprisingly Arsenal. Pogba some sources value at £20m – £60m, featuring for United on 3 occasions in the Premier league. Didier Deschamps has taken Pogba to Brazil and we may see the ex United youngster when France face up to Honduras on June 15th in Porto Alegre, kick-off 8.00pm BST. Much will depend upon Les Bleus, top goal scorers Karim Benzema (11) and Franck Ribery (9) and whether their manager can ensure that France’s spectacular implosion of South Africa-2010 is not repeated. During this transfer window the German international has been linked repeatedly to several different Premier League clubs, especially Manchester United. Van Gaal is said to be a huge fan of the dynamic 24-year-old Borussia Dortmund midfield powerhouse. Last term in the Bundesliga, Rues was in scintillating form bagging 23 goals in 43 appearances for Jurgen Klopp’s black and yellow steamroller. Reus is currently side-lined sustaining an ankle injury during Germany’s 6-1 win in the friendly with Armenia on Friday evening and is thought he will miss the entire World Cup tournament while he recovers. Chief Executive of Borussia Dortmund, Hans-Joachim-Watzke recently said: “In the summer (2013) Dortmund parted with more than €17m to bring Reus back to the club he left in 2006. While this transfer is not dead in the water yet, it appears riddled with uncertainty. Kroos had asked Bayern Munich to allow him to leave the Bavarians apparently to join Manchester United or Real Madrid according to a source in Spain; El Confidential. Kroos is demanding parity on wages of his current colleagues, new signings Mario Gotze, Robert Lewandowski and also Javi Martinez. Louis van Gaal is understood to have called Kroos, both familiar with each others footballing philosophy from their time working together at the German giants, giving Kroos hope that he may get the desired exit he appears to wish. El Confidential further enlarge, that Kroos’ agent Volker Struth is now waiting for a response from Munchen. Struth previously having implied that his player would play out his contact until mid 2015, enabling Kroos to leave on a free transfer. Possibly a less than scrupulous agent engineering an improved wage offer now, or playing the long game and both sharing in huge signing on fee’s from whichever club Toni Kroos’ destination is after his contract in Germany has lapsed. Bayern Munich’s attacking midfielder has been linked repeatedly to Manchester United, particularly since Louis van Gaal was appointed the manager of United, having worked with Muller while he was the manager of the German giants. Van Gaal provided the opportunity for Muller a guaranteed starting berth at Munchen in season 2009-10, bagging 19 goals. Bayern Munich chairman Karl-Heinz Rummenigge shared: “Philipp Lahm and Thomas Muller are very important elements of Bayern Munich. Both have remained faithful to this club right from the very start of their careers and they are also going to play an important role here in the future.” This would appear to be finite, hands-off Muller in leaving Bavaria. Yet as a football club we are weaker not only in bodies, but importantly in quality players, than last season. In keeping with the majority of transfer talk, agents are somewhere in the back-ground manipulating not only the media, but also the football clubs their assets play for, which of course is their primary role to achieve the best deal for their player and themselves! 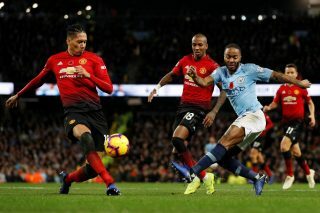 Are we witnessing the effect of no Champions League football at Manchester United in the failure to entice top-players to the football club so far? Where is Ed Woodward during this transfer window the silence is deafening from our Chief Executive, who failed miserably during last summers transfer window, aiming for non attainable transfer targets which can’t be repeated. His compass must be realistic this window in securing the transfer targets that are on United’s and Van Gaal’s radar, sooner rather than later to bolster and beef-up the team to win back the Premiership title. What cannot be ignored is that United are significantly under-strength in comparison to last season at present, with the loss of experienced professionals, Rio Ferdinand, Ryan Giggs and Nemanja Vidic who contributed in a combined 44 seasons and 1718 matches, winning 24 League titles alone for the club, and no signs of Manchester United making any serious effort to fill that vacuum. The top players are focused on the World Cup in Brazil, along unfortunately with Louis van Gaal meantime, causing ultimately a delay in transfer negotiations until the big summer sports tournaments are completed. Resulting in a likely frenzy of United transfer activity commencing as late as mid-July early August or beyond to the window closing. Which could see Sky’s Jim White, again announce a Marouane Fellaini class United signing on transfer deadline day. Someone at Manchester United must get the finger out to take a grip of the transfer situation. As United fans we crave to hear of quality additions to improve the team, announced on ManUtd.com so the club can realistically challenge for the Premiership title next season. Which Manchester United target have you been disappointed not to see transferring to Old Trafford so far this transfer window? And which players would you like to see join the club?